In this post, we’ll take a look back at a fun and busy year, highlighting some of the stories, news, reviews and photos from 2018. Thanks to all of our customers and attendees we met during the shows and adventures throughout the year! One of the most memorable adventures we watched in 2018 featured this Perth Australia family of three. 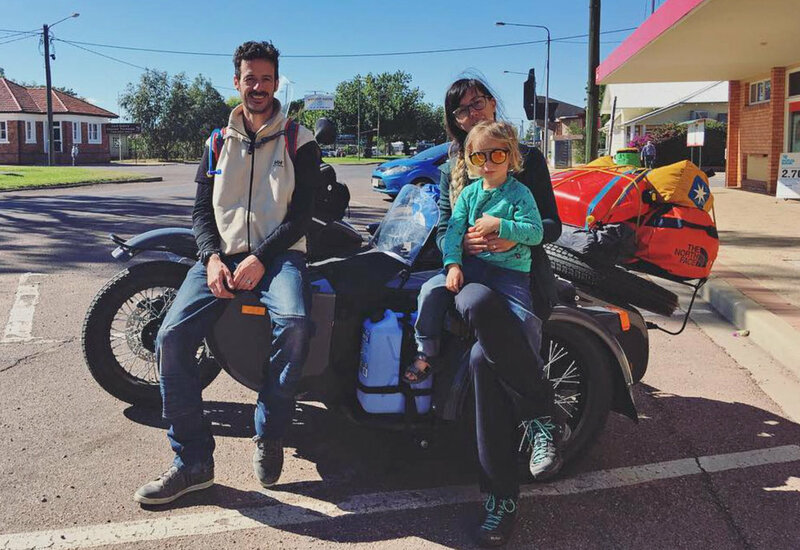 They bought a Ural and rode across Australia from East to West. 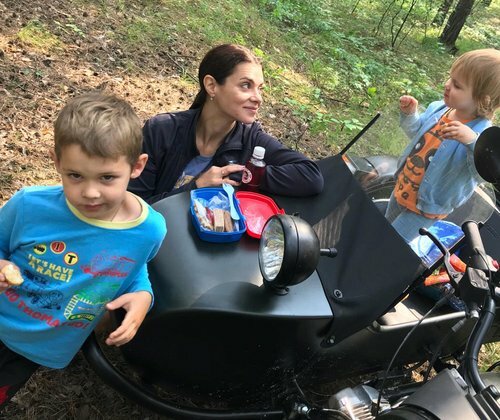 The Velge family (Gwenael, Cielito, and their son Anatole) prepared their Ural cT then set out to log miles and memories. (Photos provided by the Velge family). Click here to read the full article. We attended Adventure Rider Magazine’s Congregation 2018 held at Green Valley Farm, Tingha, where over 300 keen adventure riders gathered for their annual event. Jon Taylor from Ural of Oz, gave a brief theory lesson on the ins and outs of sidecar riding, followed by a quick run through of their course before letting them take control themselves. Click here to read the full article. In late September, we held our second Test Ride Day in Uralla with a number of keen participants. Riders of all ages, some who traveled many miles, attended the event which began with a BBQ breakfast, followed by a theory presentation on sidecar riding by Jon Taylor, experienced sidecar rider and trainer, of uralofoz.com.au. Click here to read the full article. The 2018 Ural Adventure Ride was held on the 13-14th October. Every year since 2009 the annual ride has been organised to gather interested Ural owners together and celebrate the fun of back roads touring on a Ural outfit. It has proved to be a great learning experience for new owners and an enjoyable challenge for many repeat participants. Click here to read the full article. A beautiful set of photos and a wonderfully produced film were created last year! 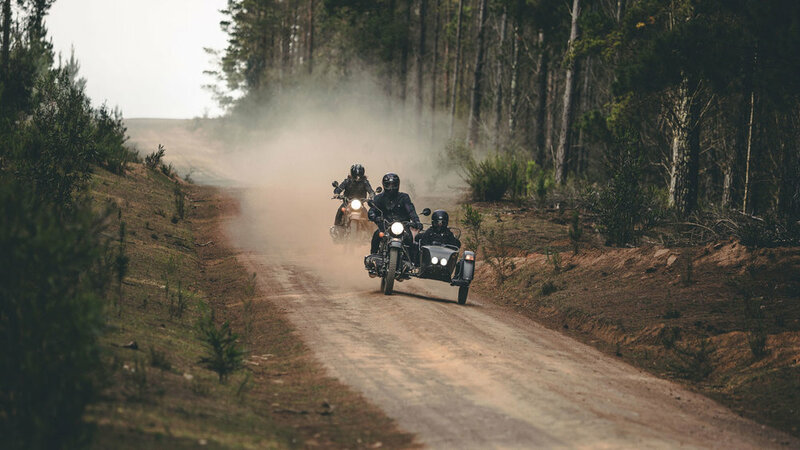 Ural sidecars and their pilots explored dirt trails, forests, and the water’s edge, all captured by this collaborative team: Hamilton Media, Frame Collective and Gasoline Motor Co. with motorcycles provided by Ural Australia. Click here to read the full article. Our sidecars have graced the pages of magazines and blogs and even showed up in some video reviews. If you missed them, here are a few to check out below. The guys at BikeSales.com.au have put together a thorough video review of our Ural Ranger model. Click on the image above to see the full video! Here are a couple more articles about the Ural Ranger and about the whole Ural experience in general. See what keeps people smiling and talking about our sidecars! Thanks, again, for following along and joining the adventure. We look forward to the many stories we’ll gather in 2019. Hope to see you out there! The guys at BikeSales.com.au have put together a thorough video review of our Ural Ranger model. Click on the image above to see the full video! Mark Fattore and Rod Chapman didn’t hold back on testing the limits of our Ranger. As you can see in the video, the Ural carried these full-grown men with ease at a brisk pace over hills and through the dirt. A big thanks to the BikeSales.com.au for sharing their thoughts and posting their video. You can learn more about the Ural Ranger by clicking here. Sit back and enjoy this beautiful film of Ural sidecars and their pilots exploring dirt trails, forests, and the water’s edge. It was produced by this collaborative team: Hamilton Media, Frame Collective and Gasoline Motor Co. with motorcycles provided by Ural Australia. Some of these photos were shot in the Belanglo State Forest of NSW. The Urals were right at home in the towering pines and dusty roads. Also fitting the part is the apparel featured throughout this adventure by Blackbird Motorcycle Wear. Blackbird Motorcycle Wear is an edgy evolving range of the retro, crafted for the urban rider’s love of the journey whatever the destination. They want riders to have a choice, both in terms of technical performance and individual style. Gasoline Motor Co. is a renowned custom motorcycle workshop from Sydney, Australia. The Waterloo based headquarters contains a full service workshop and showroom which features new and second hand motorcycles as well as apparel and helmets. Ural Australia is the importer and distributor of Ural sidecar motorcycles. They’re based in northern NSW with a showroom in Uralla as well as other dealer locations in the country. You don’t need a destination, just pick a direction and go. A Ural adventure can happen on a ride to nowhere. Sidecars provide non-stop fun whether you’re touring on the paved backroads or blasting forest trails. And, you can bring tons of supplies and gear with you! Join Jamie Robinson and his family in this MotoGeo video as they embark on a road trip together. They test the Ural’s capabilities on and off road while camping, exploring and scrambling in the California hills. 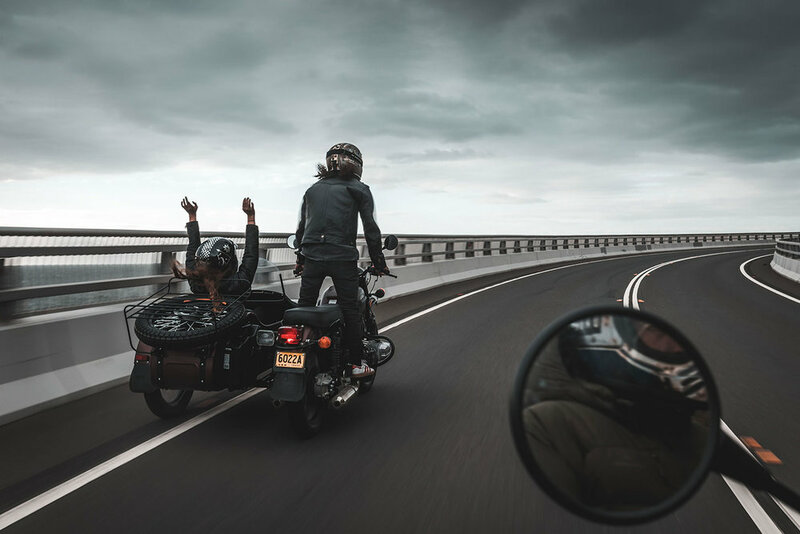 MotoGeo creates inspirational motorcycle travel stories, spearheaded by ex-motorcycle racer, Jamie Robinson, and his wife Ely. He’s used to two-wheeled adventures, often solitary trips, so the Ural has really opened him up to the possibility of a motorcycle experience with both wife and son. THIS VIDEO WAS SHOT IN AND AROUND THE SANTA MONICA MOUNTAINS. As you can see in the vid, the sidecar motorcycle is quite utilitarian, a good errand-running machine. But, it’s always ready for a family sidecar adventure! If you want to learn more about our models, check out our cT page or visit the Ranger page for a bike similar to the one featured in this video. In the pic above, Ely sits in the sidecar, Jamie is the pilot, and their son is sitting on the rear of the Ural’s bench seat. To follow more of the Robinson’s adventures, tune in to MotoGeo.com. The 2018 Ural Adventure Ride was held on the 13-14th October. Every year since 2009 the annual ride has been organised to gather interested Ural owners together and celebrate the fun of back roads touring on a Ural outfit. It has proved to be a great learning experience for new owners and an enjoyable challenge for many repeat participants. 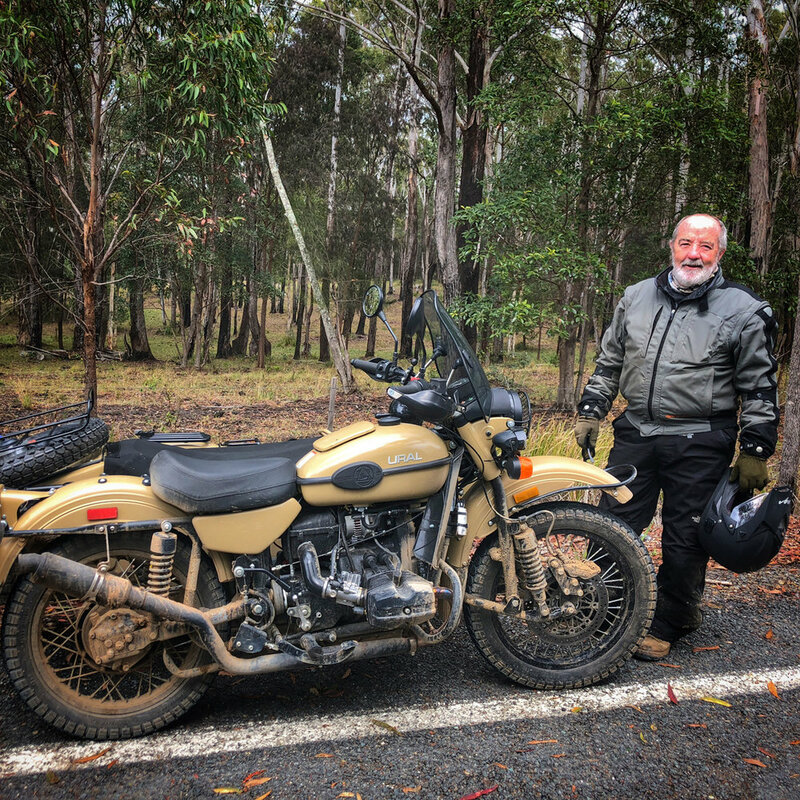 Ural Australia is located in Uralla and the surrounding New England region has an endless supply of mountain roads to tempt many participants who came from as far as Victoria, South Australia and Queensland. They came for two days of sidecar travel on the lesser frequented, and often challenging mountain roads, following a different route every year. There were more than twenty sidecars entered and a number of female drivers again showed their prowess in the sometimes challenging conditions. Two of the ladies were accompanied by their non-riding fellas in the chair. There were two junior passengers in sidecars and a family of three on one of the outfits. A wet, “dust free” weekend was forecast with only occasional “light” showers experienced. The forest roads were in excellent condition and a wide variety of terrain was covered. Highlights occurred on the wet clay and rock ascents along the Racecourse Trail, followed by the steep descent to the Forbes River crossing with its rocky entry, deep water and a loose gravel exit point. The crowd on the far bank grew as each outfit crossed over, as did the number of cameras. Our lunch stop was at a quaint shelter with open fire and tables and chairs. Out of these sidecars came refrigerated eskys full of food and warm drinks. Delicious home baked cookies were handed round, wet weather gear was taken off. After an hour, wet weather gear was dragged back on, we departed and it stopped raining! The ride back to the Oxley was just as good as the morning’s ride, up and down hills through beautiful rain forests and over creeks. All this on lovely wet slippery roads, the kind of roads that strike fear into the hearts of many adventure riders who wish they were anywhere but there! The last 5 kilometres flashed past in a feast of fast, sweeping, cambered roads and we joined the Oxley again for a sedate ride into Port Macquarie. Saturday evening found us in comfortable waterside cabins at Port Macquarie, eating pizza and reliving the day’s adventures. Following a hearty breakfast at the Rivermark Café, Day Two of our Adventure Ride began with a ferry ride across the river. Soon we were on some excellent roads, racing through beautiful countryside following the Macleay River. Lunch was enjoyed at George’s Junction where we gathered for a group photo shortly before hitting the road on our slippery ride up the mountain. Recent road grading and rain had prepared a smooth road surface, but it soon became increasingly slippery toward the top of the climb out of the river valley. The Ural outfits were able to maintain traction on the slippery climb. A vehicle ahead of us failed to summit the slippery climb and had to turn around and head back down, while the Urals all motored steadily on and over the top to the amazement and delight of some less experienced Ural owners. For the old hands, we were never in doubt about getting there!! One flat tyre and a muffler that had come loose were the only minor mechanical holdups all weekend and no one failed to ride their outfit through the many and varied challenges along the way. Once again, the Ural Adventure Ride had given the participants a shared experience to talk about well into the future as well as a demonstration of the fun to be had piloting a Ural along some challenging roads. Bring on 2019! Words adapted from Jon Taylor and Greg Jansen. More on the ride can be read at Rocky Creek Designs where Greg Jansen gives his account of the adventure filled weekend! 29th September saw Ural Australia hold our second Test Ride Day in Uralla with a number of keen participants. It was a great opportunity for inexperienced sidecar riders who possibly had never ridden a sidecar outfit to learn some basic skills in a safe environment. Our resident photographer and Ural owner, Chris, gave many onlookers the opportunity to experience sidecar riding as a passenger. Even the kids were keen to have a go! Last Saturday we attended Adventure Rider Magazine’s Congregation 2018 held at Green Valley Farm, Tingha, where over 300 keen adventure riders gathered for their annual event. We offered test rides on our Ural Sidecars to those interested and had plenty of keen riders lining up to have a go! Jon Taylor, experienced Ural Sidecar rider and trainer from Ural of Oz, gave a brief theory lesson on the ins and outs of sidecar riding, followed by a quick run through of their course before letting them take control themselves. Many riders, who have never ridden a sidecar outfit, took the opportunity to learn some basic skills in a safe environment. It was a fantastic bunch of enthusiastic people having some fun in exceptionally great weather. Thanks to Adventure Rider Magazine for inviting us along to be part of a top weekend. Thanks too to our Ural owners who attended and helped on the day which made for a great day out! "I liked the rig, its ability to go off-road, its look, its history. I like that it is a little off-beat." "Here was a machine that, instead of taking me away, would allow us to go on adventures as a family, together." Cielito was a little reluctant about Gwenael having a motorcycle, but with time and some basic ground rules of the sidecar, she eventually saw the benefits. Gwenael had originally considered riding across the country with a friend, but "if Cielito was up for it, I’d much rather do it as a family. In fact, I think it is the adventurous trip that made Cielito see the whole sidecar thing in another light." Their trip will cover over 6000kms including 2500kms of dirt roads. From mountaintops to botanical gardens, they're making the most of this trip. Anatole, the son, often falls asleep, "the sidecar is that comfortable." Part of their route includes the parts of the outback, "where there are no more towns, just blue skies." The Velges credit Jon Taylor from Ural of Oz as an invaluable advisor and mentor. "I had no idea about sidecars and had never done any long trip on à motorcycle...Jon helped us make decisions about the necessary accessories and put them on for us." They are carrying two 10L Jerry cans of fuel on the inner side of the sidecar and an extra 20L on the main rack for the most remote leg of the trip. They've also added the spare wheel and rack. Gwenael had Ural Australia add the fairing and hand guards to combat the cold temperatures. The family relies on their duffel bags to carry the essentials and have mailed home several items to pare down the load. On the long stretches, Anatole draws pictures in the dust on the windshield or plays hand puppet games. For the rough roads, Gwenael tries to get the third wheel in the smoothest spot to make it comfortable for his passengers. "The third wheel is a bonus in the bulldust, we have been flying on it!" It is a genuine adventure! "We meet many people on the road and our mode of transport certainly seems to inspire people to want to do the same. We would certainly encourage families to pack their stuff on a rig and get out there! It is amazing." 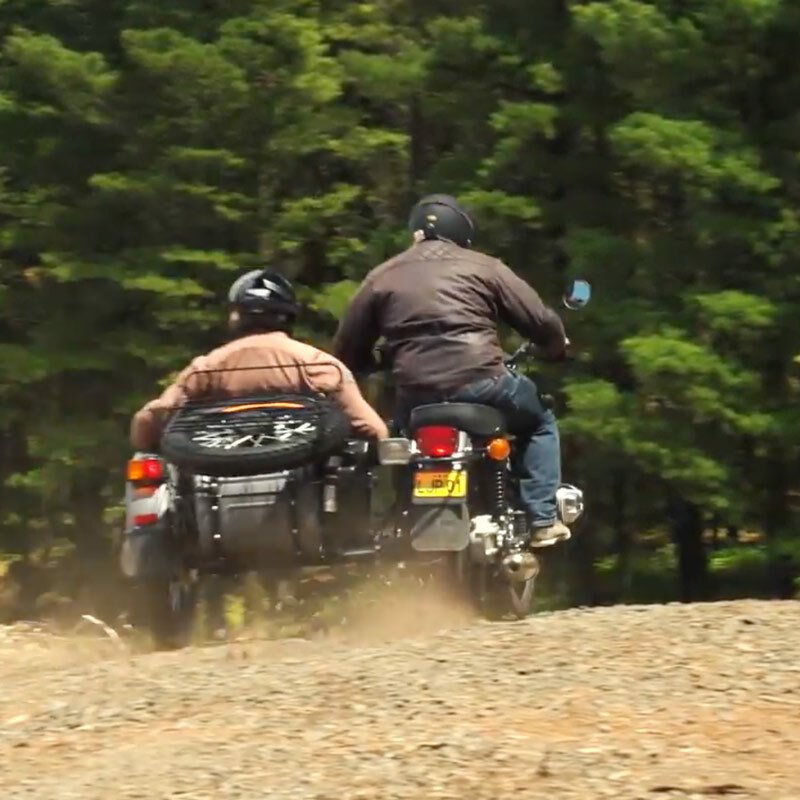 See how other Ural owners explore worldwide. 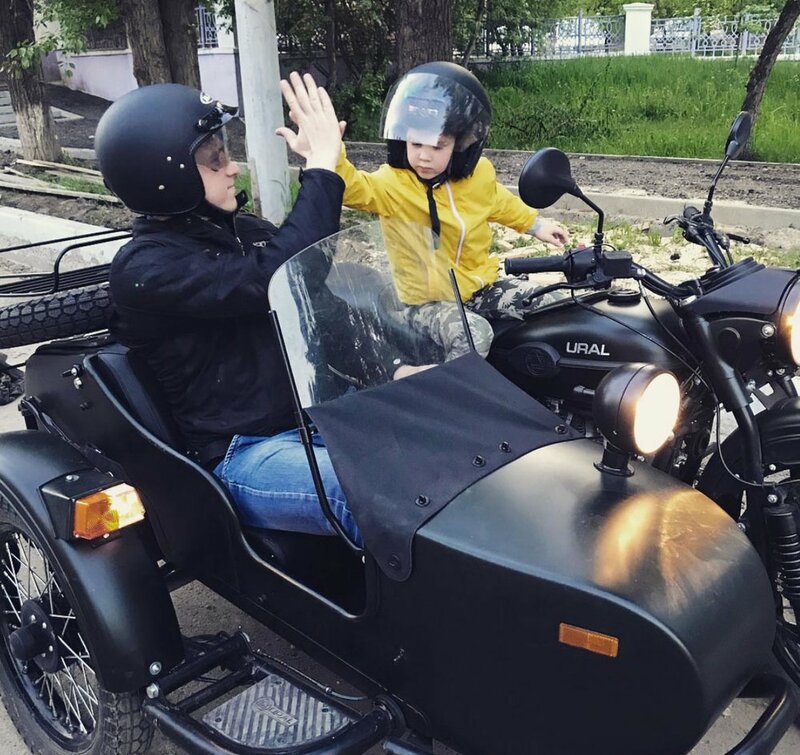 We hear it all the time: “My kids love it!” After taking a scroll through Instagram and seeing pics that people send us, it’s clear that youngsters approve of the sidecar life. Here are just a few posts that put a smile on our face. Above: Instagrammer @timberwolftony and his daughter are logging many happy memories with their Ural. The beautiful photo with the dog was taken by photographer @rubensmodelli. Li'l Anatole will be the coolest kid at daycare when his dad, Gwen, drops him off. This is the family, @the.life.motonomadic, who ventured across Australia in a recent blog post (click to see the article). Some families know how to get the most out of their Ural. Mihail Kichaykin is raising his kids with adventurous spirit. Getting outside, playing, exploring...a lifestyle that's a perfect match for sidecar riding. 5-year old Kristian approves and, being quite the skateboarder, he knows a thing or too about rolling in style. "Getting lost is our favorite place to be." One of our favorite Ural families, the Coldicotts, make their Ural a big part of enjoying life. Dustin (@dustincoldicott) chauffeurs his kids around on gravel roads and out into nature; teaching them the importance of stopping to smell the roses. "Can we take the Ural?" Ural motorcycles are a part of everyday life for the Wilkinson kids seen here and at the apple orchard above. The Wilkinson bros have raised their kids around these vehicles making the question, "can we take the Ural?" a very frequent request in both households! Are you someone who wants to enter the realm of sidecar life with your family? Feel free to ask us any questions or peruse our website to learn more about the many accessories and equipment that would match your family's sense of adventure.